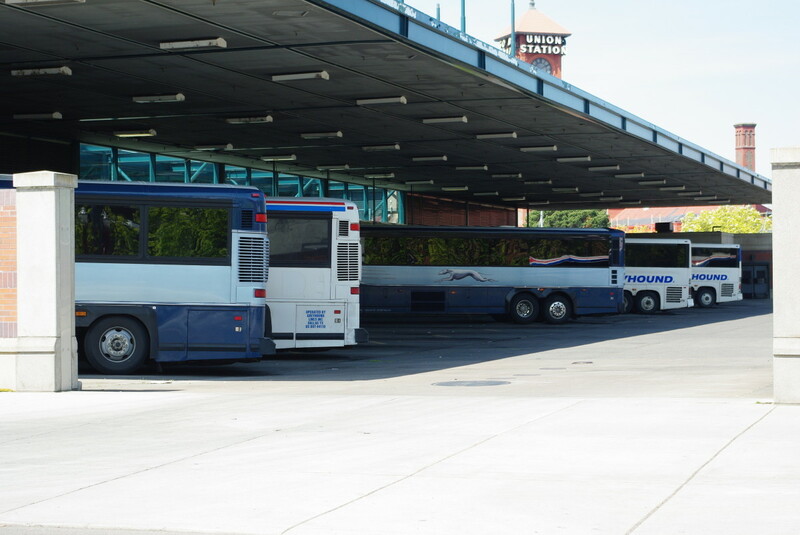 Greyhound buses at the Portland, Oregon, station. A battle over Greyhound buses is picking up speed—and at stake are the rights of potentially thousands of immigrants. A coalition led by the American Civil Liberties Union is demanding that Greyhound Lines Inc. stop immigration enforcement on its buses. Greyhound says it has no choice in the matter, but the rights groups disagree, arguing that, as a private entity, the Constitution protects Greyhound against Customs and Border Protection agents searching vehicles as well as interrogating and detaining the company&apos;s passengers. The ACLU, together with Representative Joaquin Castro (D-Texas) and rights groups CREDO and Color of Change, delivered 200,000 petitions to Greyhound late last week demanding that the company oppose raids that endanger the well-being of undocumented passengers. People of color frequently find themselves targeted for interrogation by CBP agents while Caucasian passengers are passed over, according to testimony obtained by the ACLU. 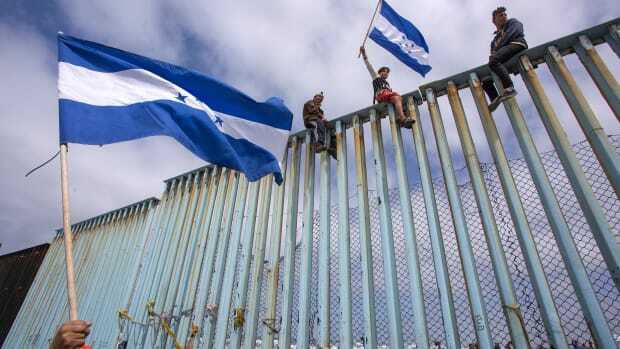 Amalgamated Transit Union chapter Local 1700, which represents 3,500 Greyhound drivers and other employees, added its voice to the opposition against CBP. 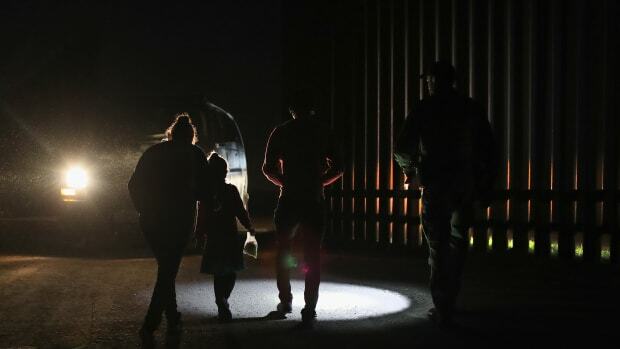 "We will no longer tacitly support immigration sweeps based on racial profiling that ends up with immigrant families being torn apart," Karen Miller, the union chapter president, said in a press release. Greyhound says it has not supported CBP policies. 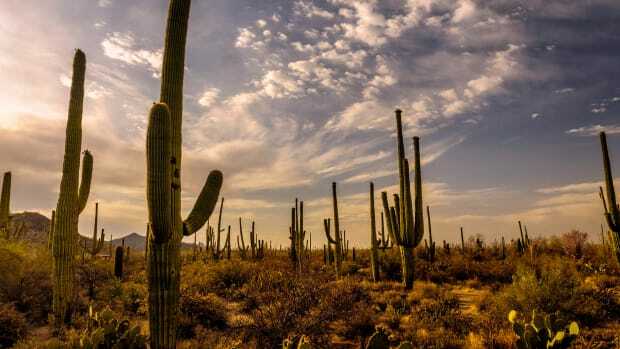 "CBP searches have negatively impacted both our customers and our operations," the company said in a press release it issued in response to the petition. "Greyhound does not coordinate with CBP, nor do we support these actions." The company claimed it simply had no say in the matter. "We understand our customers&apos; concerns about U.S. Customs and Border Protection conducting warrantless, but still legal, searches on our buses," the release reads. "CBP officers do not ask permission to board our buses. We do not want to put our drivers&apos; safety or the safety of our passengers at risk by attempting to stop a federal agent from conducting checks." Rights advocates are skeptical of Greyhound&apos;s claims of victimhood, arguing that the company is misrepresenting its legal situation. "Greyhound executives want us to believe that their hands are tied and that the company can&apos;t stop federal agents from boarding its buses. That is simply not true," CREDO&apos;s campaign manager Nicole Regalado tells Pacific Standard. "As a private business, Greyhound can exercise its Fourth Amendment right [which protects against the unreasonable search and seizure of private property] and bar [Immigration and Customs Enforcement] and CBP from inspecting its buses without probable cause or a warrant." In response to the rights groups&apos; concerns, the North American intercity transportation giant said it was "calling on Congress to change the law and will support positive efforts to do so. We also encourage all our customers to know their rights and share their opinion on this important issue with their members of Congress." The statement did not specify which law or legislative project it was referencing. 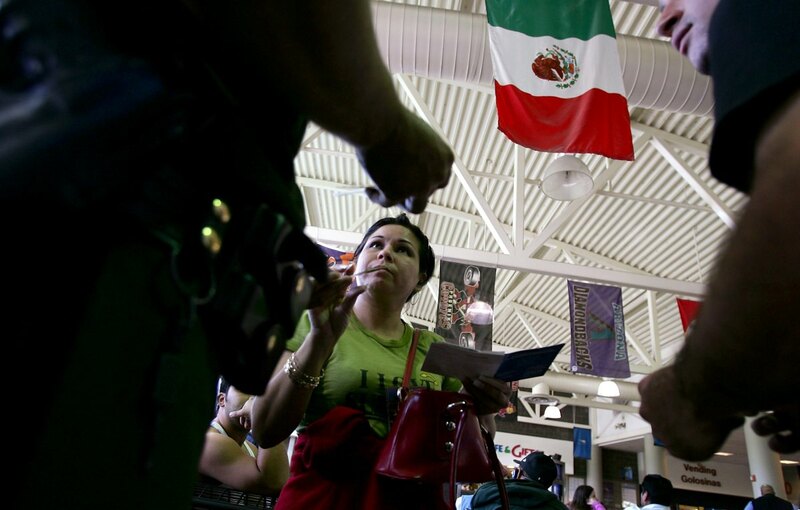 Members of the United States Border Patrol check a woman&apos;s identification at a Greyhound bus station in Phoenix, Arizona. Greyhound did not respond to requests for further comment to clarify the points it made in its press release. CBP did not respond to questions on Greyhound&apos;s accusations that CBP officers do not request Greyhound&apos;s permission to board buses and that CBP enforcement is hurting Greyhound&apos;s business. Greyhound&apos;s customers are budget travelers, and many travel long distances across state lines, sometimes into Mexico and Canada. It is difficult to know how many Greyhound passengers CBP has detained, how many of the company&apos;s travelers have been targeted for interrogation, and how many undocumented people ride its buses. "Lack of data collection and public reporting are a big part of the problem, as is Greyhound&apos;s failure to provide passengers, especially customers of color, with Know Your Rights materials," says Chris Rickerd, policy counsel at the ACLU National Political Advocacy Department. Rickerd pointed to the situation at Washington State&apos;s Spokane Intermodal Center bus station, a boarding site for Greyhound and other intercity bus travelers, as one example of how CBP "&apos;transportation checks&apos; feed into the deportation machine." Local news reported in July that the station had been the site of 200 CBP arrests since late 2012. "With more enforcement actions at bus stations since the Trump administration took power, we suspect nationwide arrest totals have increased dramatically, harming many immigrants and their families," Rickerd wrote in a post on the ACLU&apos;s website. CREDO&apos;s Regalado says the battle to hold Greyhound to account is far from over, despite the company&apos;s comments that it is unable to deny border patrol agents access to its facilities. "Greyhound is complicit in these warrantless searches. 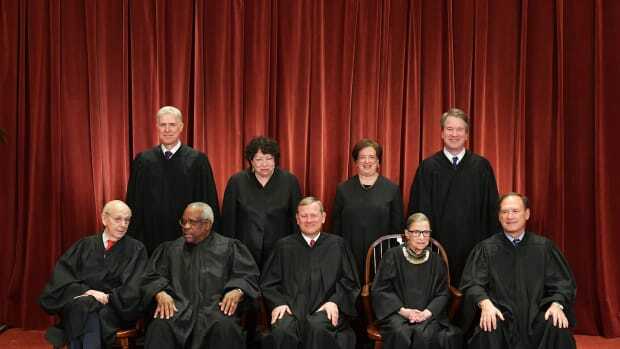 The company could invoke its Fourth Amendment right to stop them from happening, but it refuses to act," she says. "Until that happens, we will keep the pressure on." 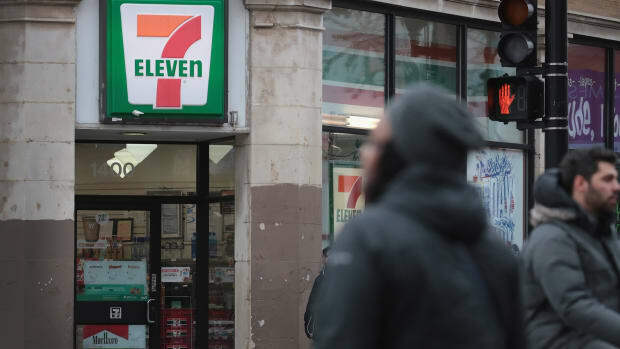 The convenience store giant may have played a role in immigration enforcement sweeps at franchises across the country.